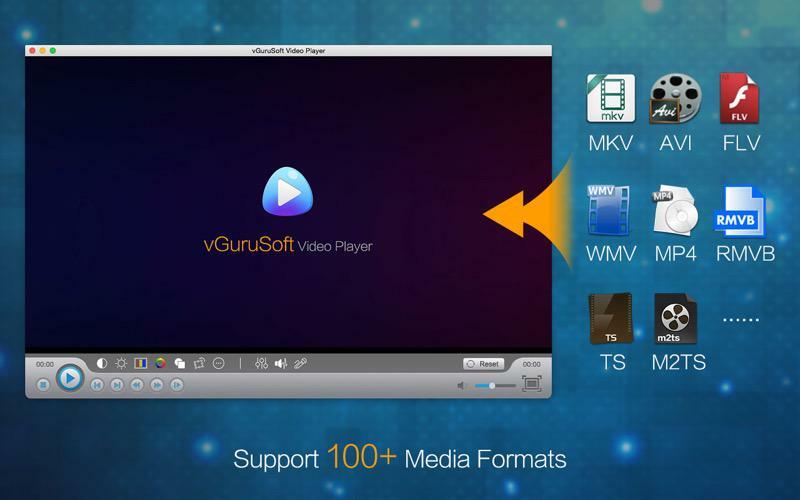 vGuruSoft Video Player for MacDistinctive HD Movie / Music Player! vGuruSoft Video Player is a distinctive high-definition video player committed to provide users with the most unique movie-going experience. 4 kinds of alternative picture modes similar to the TV picture modes are exclusively available for users to freely switch to the most suitable viewing environment. 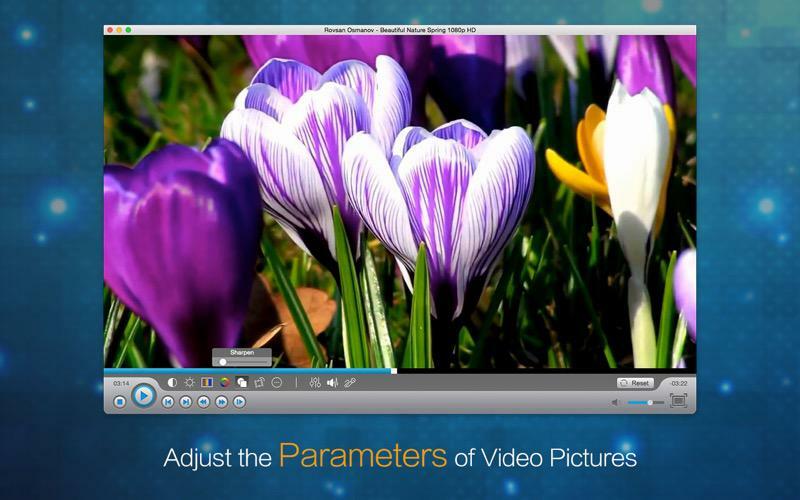 What is more, it allows users to easily adjust the parameters of videos according to their own preferences, such as contrast, brightness, saturation, hue, sharpness, rotation angle and more. Users will enjoy the perfect sound effect without any complex setting, because we preset 18 kinds of the most popular audio equalizer mode like rock, classical, pop and more. Moreover, vGuruSoft Video Player integrates a unique Karaoke function that is capable of removing the original soundtrack of MV files so as to enjoy the pleasure of singing karaoke even at home. 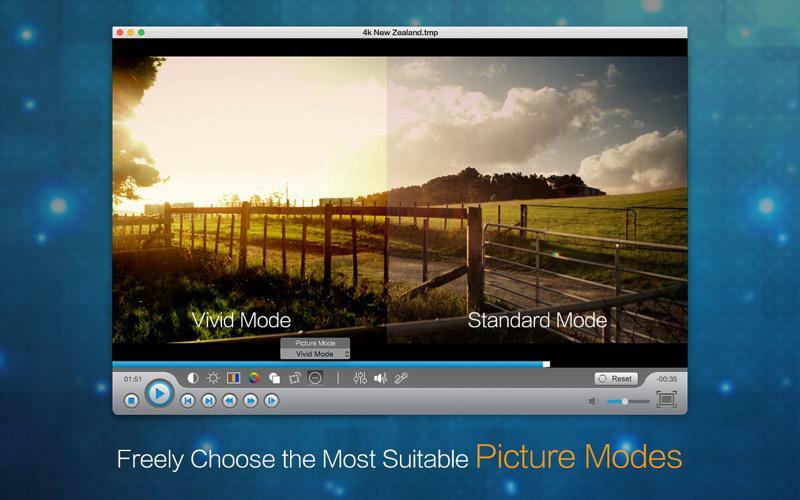 vGuruSoft Video Player comes with four picture modes which enables users choose the right picture mode suitable for the current environment. * Eye saver Mode: An optimum picture quality suitable for eye relaxation will be set. 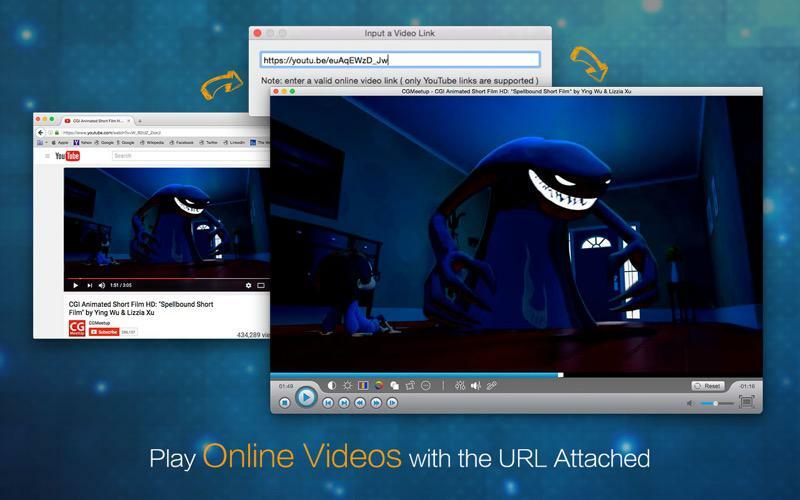 Directly play any online videos with the video URL attached and enjoy them even without the Flash plug-in. Moreover, vGurusoft Video Player is able to seek not-yet-downloaded parts of video. Users are allowed to copy any URL of online video, and paste it onto vGuruSoft Video Player. With this professional feature, users do not need to spend time to download videos before playback. vGuruSoft Video Player lets you fully enjoy the excellent movie-going experience without any Flash plug-in. Equipped with powerful and unique audio controls, vGuruSoft Video Player presets 18 kinds of the most commonly used audio equalizer modes such as pop, rock, classical and many more. Different sound effects will bring different movie-going experiences! * Volume Gain: Not only the loudness of this video player but also the overall volume of videos / audios can be adjusted. * Karaoke Function: original soundtrack of MV / video files can be removed, thus users are able to enjoy the pleasure of singing karaoke even at home. 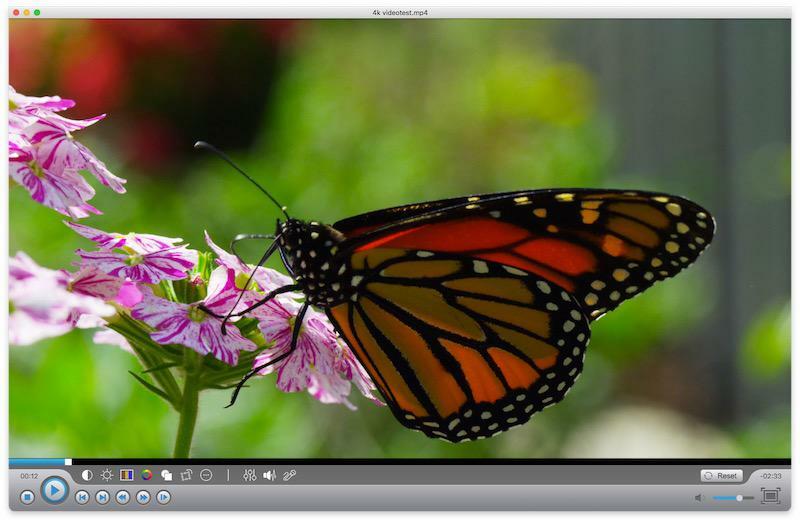 vGuruSoft Video Player allows users to adjust the contrast, brightness, saturation, hue and sharpness of the video pictures with ease, therefore the video picture can highly accord with the needs of everyone. Moreover, it supports to rotate videos in different angles so that users are always watch movies with the optimal angle.